Let’s meet The Coltrane Family … “In a Sentimental Mood”! Coltrane Family is one of the most famous lighting design families and we are sure that you won’t miss the chance to get to know all the members! DelightFULL’s Lamps are inspired by the mid-century style and the jazz music influence, and this lighting piece is one of the best sellers of the Portuguese Brand! Inspired by the great jazz musician, John Coltrane, Coltrane Lamp makes the day of any design lover! READ MORE: Prepare Yourself for Tomorrow! Bologna Design Week is Here! 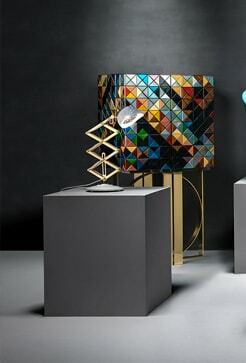 Coltrane Lamp was inspired by the great Trane, like he was known! John Coltrane was born on the 23rd of September, 1926, and he was one of the biggest jazz icons! Inspired by the great Duke Ellington, John Coltrane had several hits such as “A Sentimental Mood”, “The Feeling of Jazz”, and much more! And he definitely knew what jazz truly feels like! So, we are not surprised that DelightFULL decided to create a lighting design to do a tribute to this great jazz icon! Meet the first member of Coltrane Family: Coltrane Suspension Lamp! 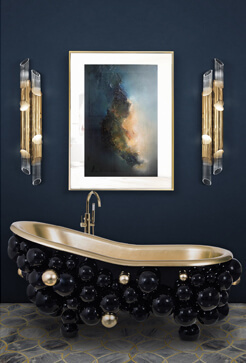 Coltrane Suspension Lamp is one of DelightFULL’s best sellers. It has a sleek and mid-century lighting design, in contrast with a minimalistic and Scandinavian style. It is very popular due to its versatility and lighting effect that dazzles pretty much everyone! More, sometimes, is more! When we are talking about mid-century style and minimalistic environments, adding a few more details are allowed. For example, the suspension lamps are the heroes of this living room! Insider tip: Add more than one Coltrane suspension lamp with different heights and amaze everyone with this beautiful and mesmerizing lighting effect. Several different projects around the world chose Coltrane Lamp to lighten up their nights! The dark environment in contrast with the lighting effect that the lamps deliver create the perfect ambiance to chill with your friends, while having a cocktail. Coltrane Lamp is handmade in brass, and you can add a different color or finish to it! You can also choose between a silver of gold powder paint to add to the inside shade. Besides that, you can also choose the size of the lamp, the height of the wire and the type of bulb! This next design belongs to the same family, however from a different category: Floor Lamps. The standard design has 3 pipes, however you can choose how many shades you want your floor lamp to have. Once again, it’s handmade in brass, however with a difference! Here you can choose which kind of material you want for the base of the floor lamp… and tcham nam! You can choose between 4 types of marble! Coltrane Table is another great example of how a minimalistic table lamp can change the dynamic and the design of the room! Handmade in brass, you can do different combos between colors and finishes, however we have to be honest! Black and Gold Plated are our favorites! This table lamp has three different pipes, however you can create your own table lamp! You can also choose the type of bulb! Coltrane Wall, alongside with Galliano Wall, are the two best sellers of the entire brand. Due to its minimalistic design and the fact that you can add these lamps to a contract project! What’s better than one Coltrane Wall Lamp? Three! That’s right! With more than one pipe, each. Here you can see how a project can change completely with its peculiar and mesmerizing lighting effect! By the way, notice how Botti Suspension combines so well! We hope you enjoyed meeting the Coltrane family, and its members! READ MORE: Interno Design: The Best Guidance For Home & Living! Previous Interno Design: The Best Guidance For Home & Living! Next Halloween Décor: How to Create a Spooky Environment!